Hope you enjoyed Casino Royale - I thought you were going to somehow work the Bond angle into this post ! How was the Beer Chicken ? fishy fishy bong bong? i could die laughing, sandeepa ... it's really punny. and i did see that fish all decorated and being sent off to the bride's house on a series called The Great Indian Wedding - they even put a bindi on it, I don't remember the nose ring, though ... it was cute and sort of surreal at the same time - like, could I be really seeing something like this? But that's what Incredible India is all about! Happy New Year! Hi Sandeepa that's a really good name you choose.. I really like humming it "Fishy fishy bong bong". I never tried fish curry with yogurt...will try it. 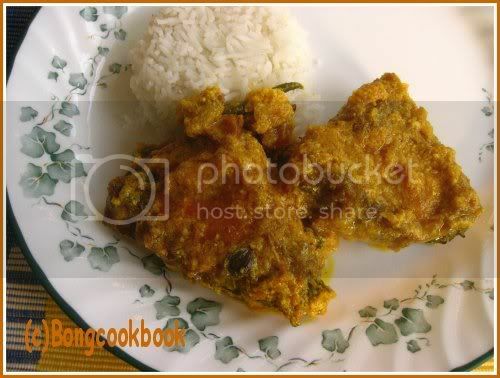 I also have a recipe of fish curry in my draft will be posting it soon. Sandeepa love your singy song fish name and the fish dish sounds delicious. It is indeed a big step, how was Casino Royale, no such luck for us, have to wait for it on DVD. Where did you see "The Great Indian Wedding" ? I haven't seen wedding from other regions from India except the North and would love to see this show. "Casino Royale" was unlike any other Bond movie, do not wacth it as "another" Bond flick. good you can watch movie at home, even that happens rarely. How old are the kids ? Can they go to the theatres with you to watch some non-kiddie movies ? May the new year usher in happiness and blessings to you and your family! I love Doi Maach and yours looks EXACTLY like my mother's probably tastes like that too. No kidding.....BTW, love the traditional Bengali recipes on your blog and your write-ups. If you have any nice salmon recipes, do share them. I only make it with sorshe bata and would love some new recipes. Hi, think I saw it either on Discovery Travel or on NDTV Profit, am not sure. Love your recipe and your dish, beauitful! We love fish. I haven't tasted many Bengali dishes but always wanted to taste them. Your blog looks great. Many thanks Sandeepa for this exotic offering in the group book project. Let me proudly tell you that this is the first fish recipe that we received at the project. Goal is 365 recipes, all from public domain, written by 300+ authors. Happy seasons greeting! Wish you a great year ahead. Cheers! This is my first time visiting your site. I am also a bengali from Calcutta living in US now, Maryland to be specific. Needless to say, I absolutely loved your fish recipes. I read the Malaikari and Doi Mach and couldn't help writing back to you. Can you please post the recipe for Shorshe Chingri Bhape? Soybean Sprouts diye Mocha was delicious! brilliant idea! Thanks a lot.. won't miss mochar ghonto any more. I made this dish.. and its awesome!!!!! 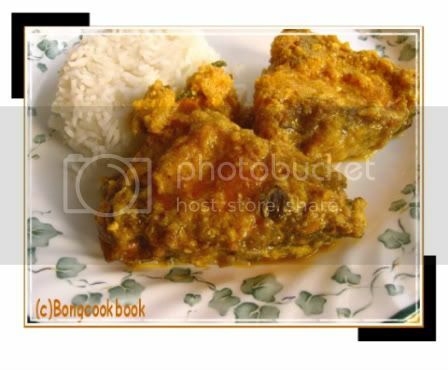 Can you post some recipes on Tangra fish? hi sandeepa, i am very happy to come across your site.i also live in US, Marylandeverything is good here unfortunately i have not found any good fish, i generally buy tilapia from gandmart but it has a peculiar sea water smell which is very diffetent from what we ate in India...am dying to eat good bengali food and good fish..can u plz tell me where u get yr fish from? Great pic as well as recipe. Just to let u know if u add half a teaspoon of besan with the curd, it won't curdle while adding. I tried this dish the other day. In the first go, it had a very strong taste of ginger. Is that how it is supposed to taste? (Am relatively new to bengali cuisine) I then added a bit more curd with besan. After this , it was very delicious. I tried it last night using salmon filets and it turned out very tasty. I love Indian food, but I don't have much experience cooking it. I can say that this recipe is very easy to cook once you get all the vegetables prepped. I made the doi-maach this morning. An aunt of mine used to make this and it compared to no one else's doi-maach - not even my mother's - and I miss eating it terribly. Yours looked like my aunt's so I gave it a shot. It came out perfect - the same smell and silky smoothness of the yoghurt! I am a good cook, but I learnt most of my cooking away from home and mostly either from Punjabis or from cookbooks. But thanks again. I will keep making this. By the way, the Rui maach that I bought came already in pieces but the scales were still on. Do you know an easy way to de-scale the fish pieces? Tried the Doi Mach, and it seems that another comment was correct--need to lessen the ginger paste, maybe half of what is mentioned. Hmmmm...looks nice! Maybe I should go and start cooking now that I've gone through every single word of every comment and post...sighh.. Recipes are very delicious, but laborious too. It makes me so hungry, but on an internship in France, with the limited amount of resources, Bong dil maange doi machh! At the same time, with very limited skill of cooking, is there any way of easy and delicious cooking? 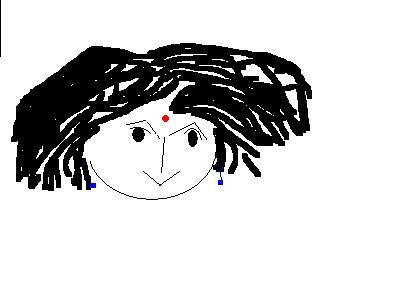 Hi there, I came across your blog just today while I was hunting for a doi maach recipe. I used yours and it came out terrific (i tried it with rawas, its called the Indian salmon in Mumbai, tastes like Gurjaoli)! Thanks and looking forward to trying out more stuff from your blog! Delicious! I am away from home and I wanted to cook doi mach just like my mom :) But because of difference in time zone it was not possible to ask. So I found this one! And it does tastes the same :D So happy! Thanks so much. Regarding ginger paste, I have found out that home made paste requires less than store bought ones. I use the store bought one. May be that why the difference in quantity? just finished making it... THIS TASTES AWESOME!!!! authentic... like ma used to make it :) Thank you for the recipe! The whole garam masala and mustard oil does the trick for sure! Isn't there a doi maach version with yellow mustard seed paste? What is that called? Could you post it? 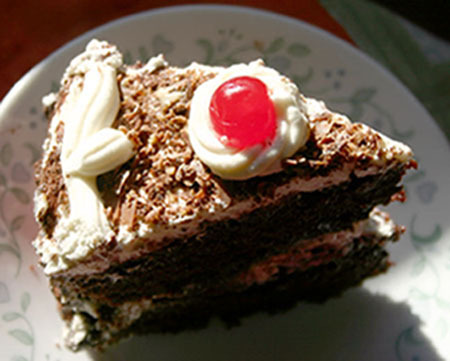 Hi Sandeepa, pls could you help with the Doi Machh recipe. Strangely, I'm unable to view it. It is not happening for any other recipe page, just this one. Pls help. Thanks! How does one get this recipe? What is your book called and is it available on Amazon?